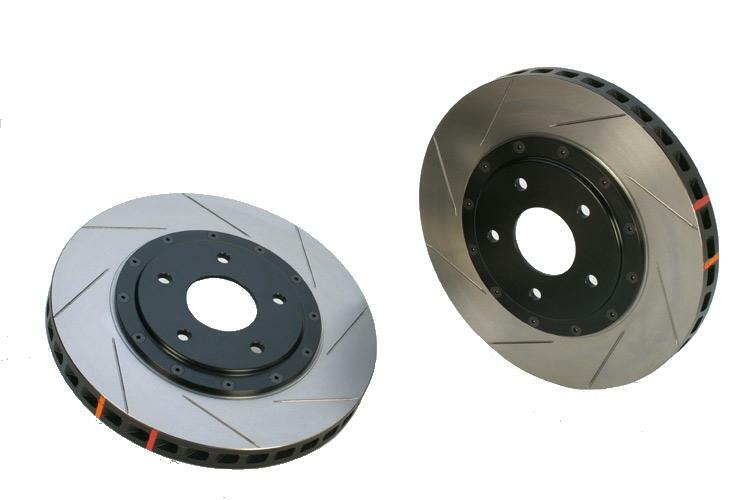 STILLEN Spec-T Performance Rotors CHEVROLET - Dezod Motorsports Inc - Home of the automotive performance enthusiast since 2002. STILLEN Brake Pros now offers the Spec-T line of rotor systems, the highest level upgrade when keeping with the original equipment calipers. Available in cross-drilled AND slotted or slotted-only configurations, these upgrade systems are designed specifically for each application for the best performance with no compromise. Better stopping performance hot or cold, less weight and less fade are all requirements of the Spec-T program. Spec-T front, 2-piece rotor assemblies feature curved-vane discs for maximum cooling and aluminum hats for weight reduction and better thermal management. High-performance hardware is used to handle all driving conditions. Rear 2-piece assemblies also provide improved cooling with curved-vane discs. And, the factory parking brake function is retained for security and streetability. STILLEN Spec-T — When compromise is not an option. To maximize the performance of the Spec-T upgrade, choose one of a variety of high-performance pads, Goodridge stainless steel brake lines and AP Racing or Motul hi-temp brake fluids. Call for the latest options.